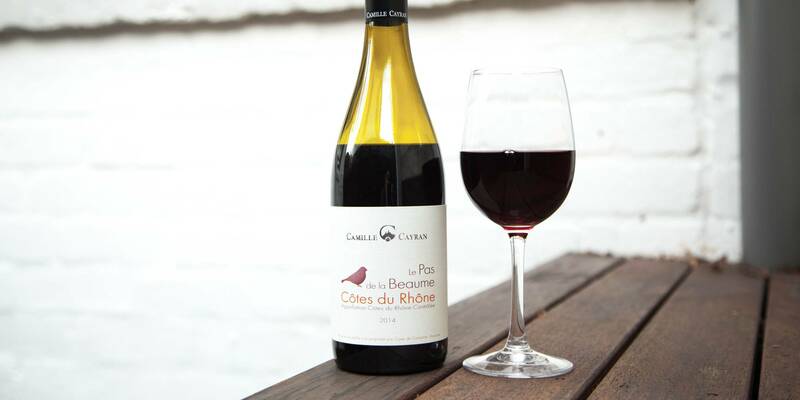 The Cotes du Rhone has become for many people a go-to region for affordable wines of immensely high quality, typified by a juicy, rich, elegant-yet-approachable set of characteristics which makes them an absolute delight to drink. Camille Cayran is one of the most exciting wineries in the Cotes du Rhone at present, thanks to its dynamic team led by the ever-ambitious Thierry Caymaris. His powerful reputation in the region has led him to work closely with over 120 grape growers, who cover a carefully selected range of terroirs in this part of the Rhone valley, and who bring him their superb Grenache, Syrah, Mourvedre and Carignan grapes for vinification at his gorgeous establishment. The nose is entrancing, with plenty of black and fruits - dark cherry, sweet raspberry and blackberry. Lots of warm spices as well, all coated by a fine floral note of violet. Rustic, hearty, easy-going... these are the kinds of adjectives you associate with a decent Cotes du Rhone, and the same goes for the food you'll want to be serving with it. To be fair, this wine is probably best drank at a pavement cafe in France, alongside a steaming bowl of whatever the chef has knocked together that morning – but you don't have to travel to the other side of the planet to replicate that kind of combo at home. 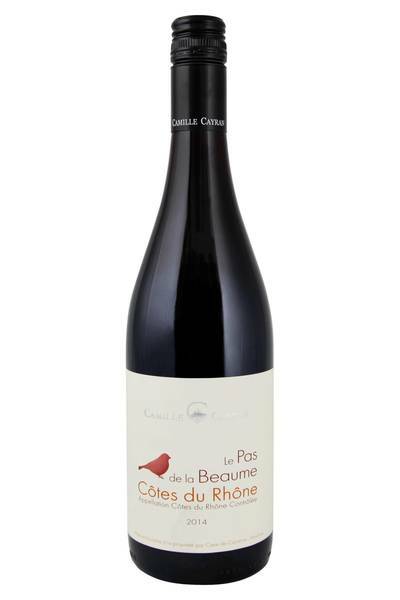 This Cotes du Rhone is going to be spectacular with all kinds of deep, meaty, spicy treats. Great home-cooking classics like a sausage casserole or meat pie are going to be exactly the kind of laid-back dining you'll want to pair this with, and it's going to go well with pork, lamb and game meats – almost any rich meat you can pair with a thick, tasty sauce. Rabbit and Asian spiced duck are particularly good with Cotes du Rhone, and with the right sauce and plenty of herbs and spices, these pairings can work absolute wonders!